The Dodgers have made some headway on signing their draft picks. Let’s get the easy signings out of the way first. All the picks listed below have signed for $100,000 or less (like in the case of Kyle Garlick), meaning their bonuses don’t count toward the pool allotment of $7,781,700 (round selection in parenthesis). Fun! Absolutely none of those guys were in danger of not signing. Now onto the Top 10 rounds. Here’s a table breakdown. The Davis signing is the big outlier here, as he nearly got 2nd-round money in the fifth. I thought he’d get an over-slot deal, but I was a little surprised to see him get more than $900,000. Hansen came in at just less than $1 million to keep him from going to Stanford. There are still five unsigned draft picks from the first 10 rounds. Buehler, Sborz and Pfeifer won’t be signing until after the College World Series because Vanderbilt (Buehler/Pfeifer) and Virginia (Sborz) both made it. There are rumors Funkhouser might go back to school as a senior, but I think that’s a negotiating ploy more than anything. I’m confident that Rios will sign and should come in a bit less than slot. As of now, the Dodgers are in the red on seven of their Top 12 selections. The Dodgers are going to have to try to save some money on Sborz and Pfeifer if they feel they’ll need to throw a little more money Funkhouser’s way to keep him from going back to Louisville. I view both Sborz and Pfeifer as relievers, even if the Dodgers have said they’re going to try Sborz in the rotation to begin his professional career. If they save any money on the pair, it’ll be somewhat minimal. Buehler, after a terrific showing on Friday in the CWS, might cost a little more than the slot-recommended amount. Also, the Dodgers can go 5 percent over their spending pool limit without any draft pick penalty. They have done so in the previous three years, and this year should be no different. That means they’ll have an extra $389,085 to spend on draftees. 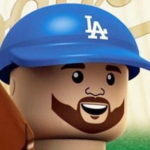 Without knowing the rest of the signing bonuses, the Dodgers can currently go $260,185 over without any draft pick penalty. That amount could be earmarked for Funkhouser. If they’re hopeful of signing any post-10th-rounders to deals worth more than $100,000, they’ll have to be minimal commitments. Guys like 11th-rounder Imani Abdullah and 16th-rounder Nolan Long qualify. Something that no other team has, though, is the negotiating tactic known as Magic Johnson. Johnson personally called both Abdullah and Long in hopes of getting them to sign with the Dodgers. There is also the possibility the Dodgers could have a last-second signing of a late prep draftee, ala Caleb Ferguson (2014 38th-rounder who was coming off a recent Tommy John surgery) in the form of John Boushelle (20th round), Logan Crouse (30) or Luis Rodriguez (34). That seems less likely than them landing Abdullah and Long, though. Other than that, I don’t expect too much drama or many surprises for the rest of the draft signing period (all players who are going to sign must sign by July 17). The top priority is to, obviously, get the first two picks signed. If they fail to sign either one, the Dodgers would lose that slot money from their almost $7.8 million pool. Once the CWS ends, the picture will become clearer.